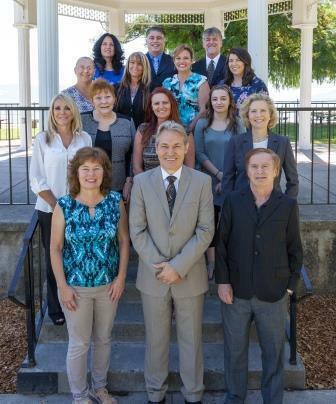 Timothy Toye & Associates is the leading real estate team in Lake County. Not just results. We are the most productive team in terms of average sales volume closed per agent. But that is not our primary goal. We follow a firm set of principles that guide how we practice our chosen profession conduct ourselves with our clients, each other, and all we deal with. We do not “sell” our clients. We consult with them, give them the information they need and help them make decisions, perhaps to buy or sell, perhaps not. Whatever they feel is best for them. Click here to see a short video on Relationship Selling by Timothy Toye. Marketing is how we find clients and bring them together most quickly and effectively in successful transactions. We do not compromise this commitment under any circumstances and so we guarantee our sellers this.Click here to see a short video on Guaranteed Marketing by Timothy Toye. We do not believe that for one to profit, the other must lose. We approach our lives and our profession from the disposition of abundance. When we negotiate sales, we look to help find the most positive outcome for all involved, without undue stress. We look for the win/win outcome, where all parties are comfortable with the outcome, even if they have to compromise. This maximizes success. Click here to see a short video on Win/Win Negotiating by Timothy Toye. We are stronger as a team than alone. We work together cooperatively to serve the best outcome. We team up with our clients. We even team with agents at other companies at times, to make deals work. Cooperation is a stronger force than competition, even if it is often quieter. We follow these principles because they express our understanding of what is most real and true about life, and not just real estate. They bring us greater satisfaction and enjoyment in our personal and professional lives, and also, we observe, in our clients. These principles bring us success. Altogether.